Chef Lisa Jean and the experienced service team at Bennett’s Brasserie have risen to the challenge of maintaining the reputation left by renowned chef, Michael Frith – and strive to exceed it. Her passion and flair for the culinary arts inspires the kitchen and service team alike, to deliver only the very best to each and every customer. It’s a deep respect for the finest of details, that gives customers a positively memorable experience. 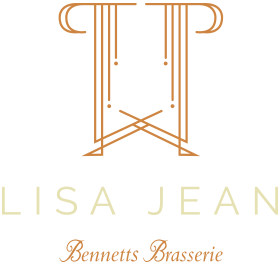 Lisa comes to Bennetts with decades of culinary experience, working amongst some ofthe greatest chef’s in some of the finest restaurants in the country, including Nobu and Aubergine. Her years as head chef of a Midlands-based fine dining restaurant brought great critical acclaim and several accolades, which could never equal the astounding feedback given by thousands of customers that have experienced her cooking – reflected by TripAdvisor’s ‘certificate of excellence’ award five years running. The contemporary style embraces tradition and the 280 year heritage that Bennetts holds.This style permeates all aspects of the brasserie from the moment you walk in, to the moment you leave. Ingredients are selected from award-winning local producers wherever possible, freshly prepared and cooked to order. Feedback received, following the July launch, has been overwhelmingly positive. Refinements will be made continually to evolve the customer experience and further exceed expectation.